NcSTAR® Hi-cap Storage Portfolio holds up to 16 pistol mags! For tactical duty, NcSTAR has you covered with this Hi-cap Storage Portfolio! It's an innovative design with elastic straps inside to secure each magazine, and it boasts easy-open hook-and-loop closure for quick access when you need it. 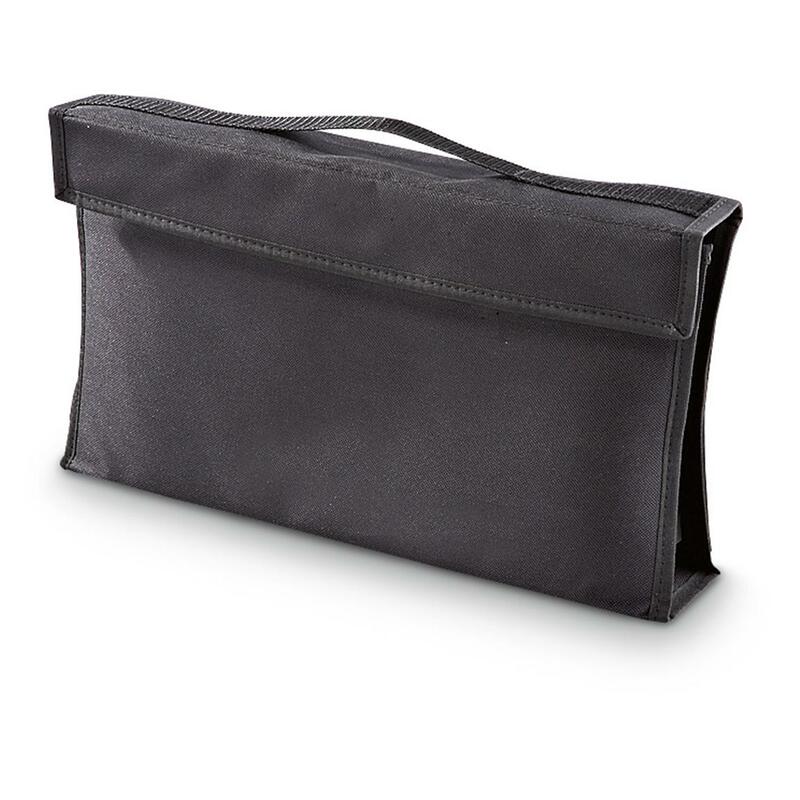 Store up to 8 AR-15 / AK-47 mags or 16 pistol mags (single OR double-stacked) in this spacious, durable nylon carrier. Made with carry handle for easy toting wherever you roam. Measures 15" x 8" x 2 1/2". Order yours right here, right NOW! NcSTAR Hi-cap Storage Portfolio is rated 4.4 out of 5 by 43. Rated 5 out of 5 by Achieftwo from Great mag holder Works great, needed somewhere to hold all my loose mags, best price I could find, especially with free shipping. Rated 5 out of 5 by Achieftwo from Huge space saver/organizer at a great price!!!!!!!! I love these, I bought 2 and store them on the top shelf of my 48 gun safe. Since I have a bunch of guns in my safe, there's not enough room for the hi cap mags installed. Instead of having the mags loose, I found these at SG for $13.50, used my $10 coupon, got 1 for $3.50!!!!! (Both came to $17.total, $8.50ea) Some mags don't fit perfectly, but it works. Some slots have enough room to double up, and still able to close. Even enough room for bipod. Great item!!! Rated 5 out of 5 by Eddie from Great Buy! Beautifully constructed and extremely functional. Couldn't be more pleased with my purchase. 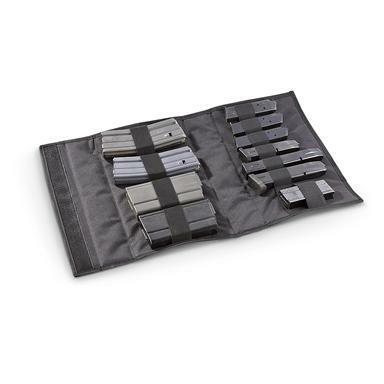 Rated 5 out of 5 by Hotshot from Great Deal Has lots of pockets for mag.s And when you go to to the range all you have to do is grab your NcSTAR HI-Cap storage portfolio and go. Rated 4 out of 5 by DANIEL from Could use some space between pockets. Some of my mags don't fit well next to each other. Rated 3 out of 5 by WALTER from I gave this a mediocre review on the first one I purchased, but its held up well and works great to carry 8 Black Dog AR .22lr mags. So well in fact I ordered a second for when my wife comes to the range with me. It could rock if it was made a bit better -- stronger elastic and made with sides, but it works well enough and has held up to the abuse I've given it. Rated 5 out of 5 by JOSEPH from Great product, I am thoroughly pleased. The perfect protector for your mag! Loads 50 rds. into two mags in less than 15 seconds. Ensure smooth feeding with clean ammo! Loads in 18 seconds or less!